Do you have a meeting or conference coming up? With versatile modern rooms and a host of facilities, choose RNIB College Loughborough and support the learning of students with vision impairment. The Conference Centre is the latest student-led enterprise at the College, expanding the range of learning and work experience environments for our students. What is included when you book a room? 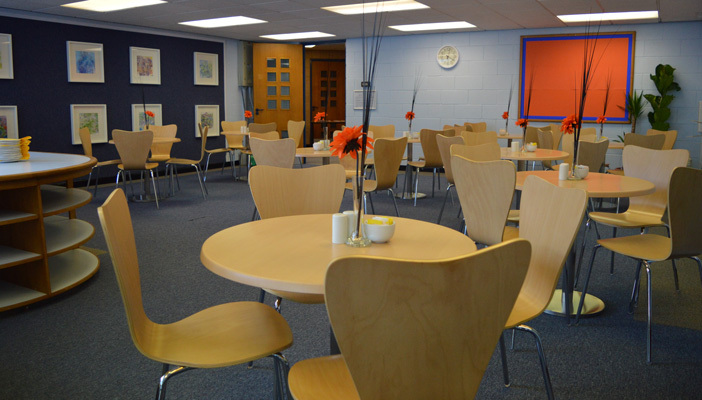 The Beacon and Bradgate rooms are joined by a dividing wall, and when booked together can accommodate around 80 people. Freshly made hot and cold buffet lunch menu options including speciality cakes. We can cater for up to 100 people. For more information and to book the conference room, please call 01509 611077. Find out more about opportunities for students with vision impairment at RNIB College Loughborough.